A lot has changed since last week. I noticed that the mushrooms have started to die away ; only the honey fungus is looking anywhere near healthy. The path is rusting with leaves, and our walk was punctuated by the sound of falling beech nuts. In one part of the forest there is a hollow which catches the sun. In this area, it still looks and feels like Summer. Some Red Admiral butterflies were sunning themselves in the hollow this morning, and they allowed me to get really close with my camera. Even Sparky was mesmerised by them! For me, “butterfly” brings up words like transformation, change, metamorphosis and regeneration. 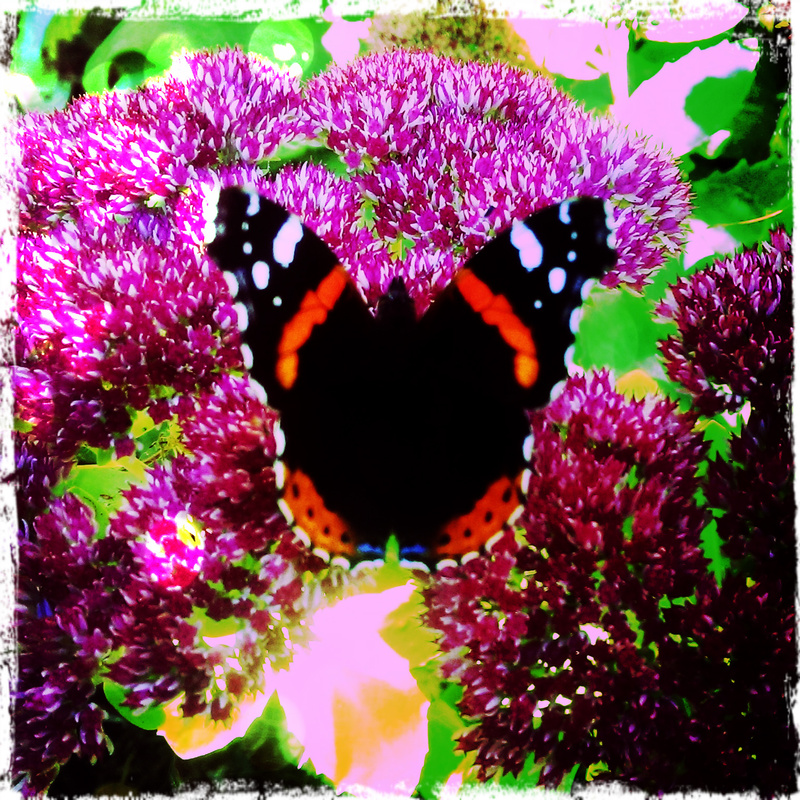 Butterflies make me think about Nature’s continuous, and repeating, cycles. Since my poetic adventure is all about marking the transition from Summer into Autumn, a haiku about the butterfly makes for a perfect inclusion in my collection. You can read my haiku here, and I read it out loud in today’s video-blog too.